A market is an ideal place to explore the lifestyle of a region. 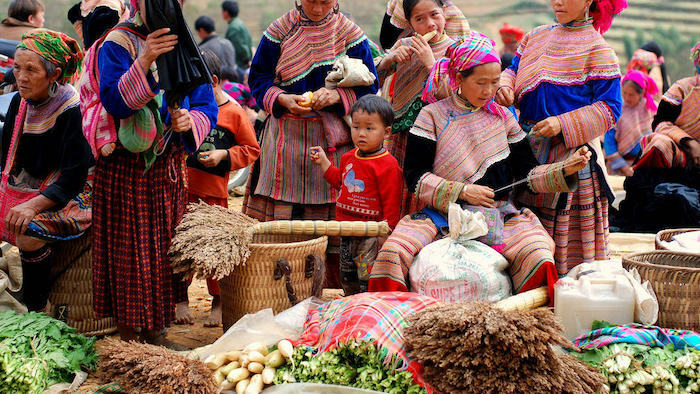 Traveling to Lao Cai, don't forget to visit Coc Ly market to discover the colorful culture here. Lao Cai is famous for many unique markets bearing the bold beauty of people here. 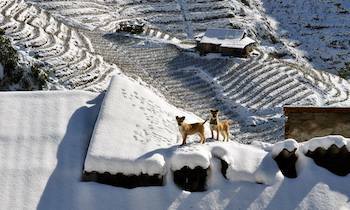 Coc Ly market in Lao Cai is also a famous one because of its characters. 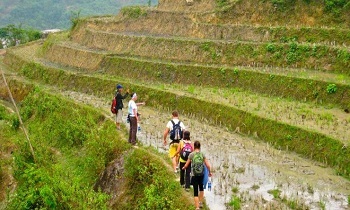 Let’s explore the Coc Ly market in Lao Cai as well as Sapa tourism via a Sapa trekking tour reviews to understand more. Coc Ly market is open every Tuesday. 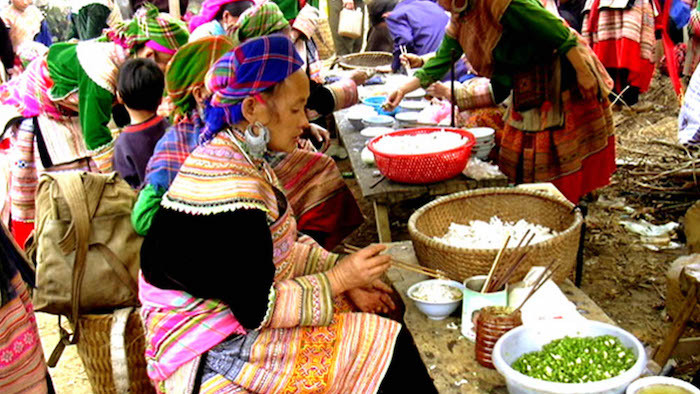 Although not being a large market, it is essential for ethnic minorities in the northwest of Bac Ha that is a meeting place to exchange and trade of Mong Hoa, Dao Khuyen (Dao Den), and Nung ethnic groups. The goods sold at the market are local products and utensils brought from the lowlands or imported from China. Located right on the poetic Chay river is the scene of the bustling Coc Ly market. Its name means “the root of the plum tree.” With wild and unique features, people not only come to the market to trade but also to meet friends after a week. It is different from others in the lowland. Each time to the place, people are so excited like they are at a festival. 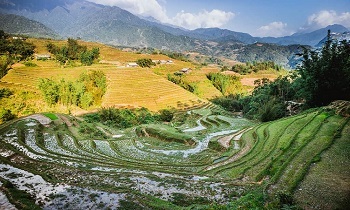 Coming here, visitors will have the opportunity to know more about the daily life of people in the northwestern region and enjoy Sapa specialties. 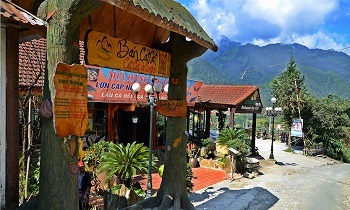 From Lao Cai city, going along the National Highway 4D, visitors will go to Phong Nien commune, Bao Thang district, Lao Cai province. Continuing along the provincial road 153, tourists will visit Bao Nhai bridge, Bao Nhai commune, Bac Ha district, Lao Cai province. From here, go along the Chay river about 10km by boat, tourists will go to Coc Ly market. 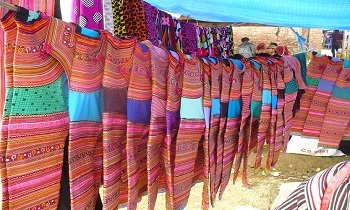 Coming to the market, you will be stunned by the traditional beauty preserved from ethnic groups of H'Mong, Tay, and Nung. 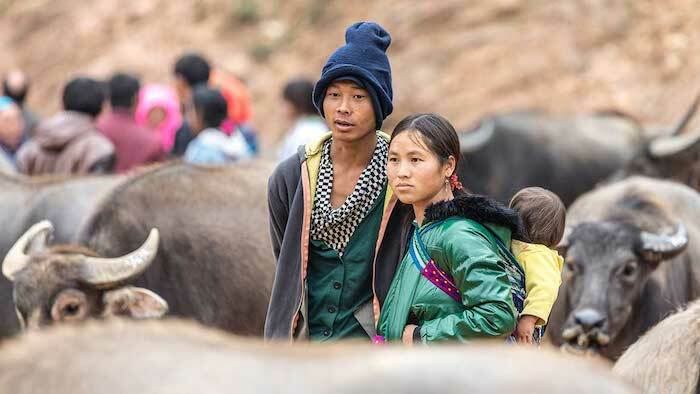 The H'Mong boys and girls carry horses and bring a basket on the back to put the corn wine and aromas of the mountains such as wood ear mushrooms, honey. The old people bring buffaloes, cows, dogs, and horses to the market for sale. Visitors will also be able to see the ethnic costumes and hear their voices. The H’Mong girls look gorgeous in the brightly colored dress and umbrella. They usually focus on the bridgehead to show off their skirts and more importantly to find a boyfriend. 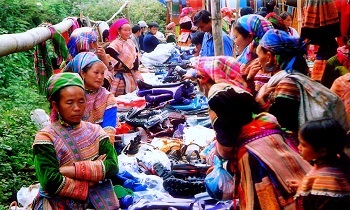 Coc Ly is a market of ethnic minority people living in the northwest of Bac Ha district. The meeting place is right next to the bridge hanging over the Chay river. Each week, the market only has one session on Tuesday. From a distance, it is like a lively watercolor painting. 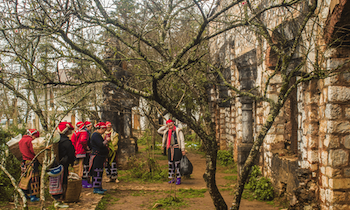 The flow of light is drifted gently over the years, surrounded by mountains and forests of Bac Ha. 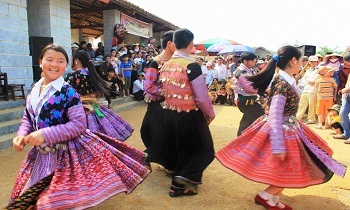 For the beautiful natural scenery, each group of Mong, Dao, Tay, and Nung wearing the costumes characterized by subtle patterns from all the villages in the area also gather together in the market. It is full of pedestrians, horse riders carrying textile products, agricultural products, and cattle. The market is divided into separate zones. 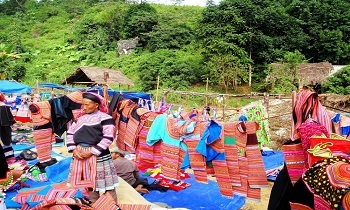 The products which are bold flavors of the forest such as vegetables, herbs, mushrooms, wood ear mushrooms, honey, corn wine, rice, home appliances, jewelry, and brocade items with many colors and vivid motifs will be concentrated into a zone, displayed on the sheet of plastic covering the ground. However, the most prominent is still cattle and poultry, including pigs, chickens, dogs, horses, and cats. The atmosphere in this area is very bustling with buyers and sellers standing or sitting rubbish, making deals with each other. Besides, the area for ethnic dishes is quite exciting. In the smoke rising from the eateries, there are many different sounds, from the noise of the conversation to the chattering of the chopsticks and the excitement. Another attractive one is the customer service area, especially for men and women. Here, visitors can take photos with their relatives or friends or visit the "dental clinic" to make a gold tooth for a more outstanding mouth. The beauty of Coc Ly market is not just people coming here to buy and sell goods but also to travel, meet each other and share the love song. 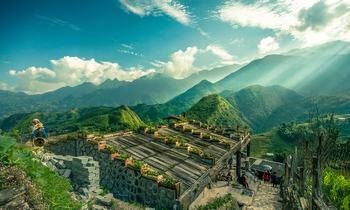 If visiting Sapa, do not miss this appealing market on Tuesday. For further information, don't hesitate to let us know. If you love the place, please like and share the article with others. Thank you.